Meet Rick Palumbo – Owner Marin Volvo-Saab. Rick started Marin Volvo-Saab in 1981 and continues to run the shop today. Rick has over 40 years experience servicing Saab and Volvo vehicles. Rick has a passion for Saabs and Volvos and it shows in his expertise. He goes out of his way to explain the inner workings of customer’s cars. His knowledge of Volvo and Saab vehicles is second to none in the area. Meet Michael – Service Technician at Marin Volvo-Saab. Michael has been with Marin Volvo-Saab for 29 years. 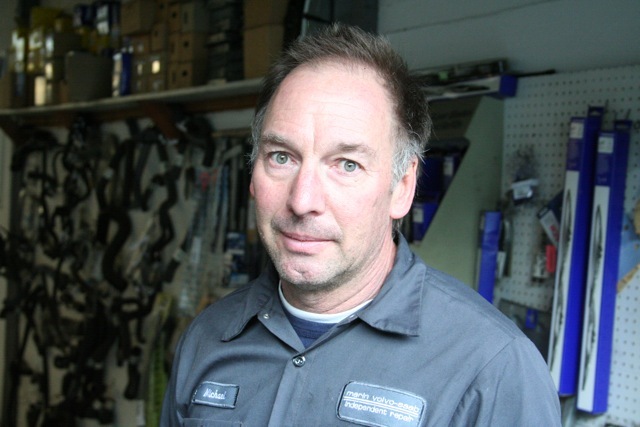 Michael is a ASE Certified technician and is an expert servicing Saab and Volvo vehicles. Michael has attended multiple Volvo Tech School training sessions. Michael too has a passion for Saabs and Volvos.